Katherine aka HuiXin, 25, I'm an accountant and a run addict. Kuala Lumpur, Malaysia. I'm the co-captain of RUN89 Crew and also a member of Nike Run Club Malaysia. Running has helped me in more ways than I could imagine. I used to be an anti-social, laying on my couch watching tv was my thing back then. And I'm not very proud of it. Ever since I picked up running, it has opened up a whole new world for me where I could meet awesome people and share my joy with my fellow runners. Running has also made me a stronger and better person. I've always been a fan of Nike's Women Marathon series, I really hope one day I could participate in one (the tiffany & Co. neacklace is absolute sweetness!) Another one of my dream race Hood to Coast, it will be a dream come true for me to be able to race in one with my fellow crew members. That would've been one heck of an experience. 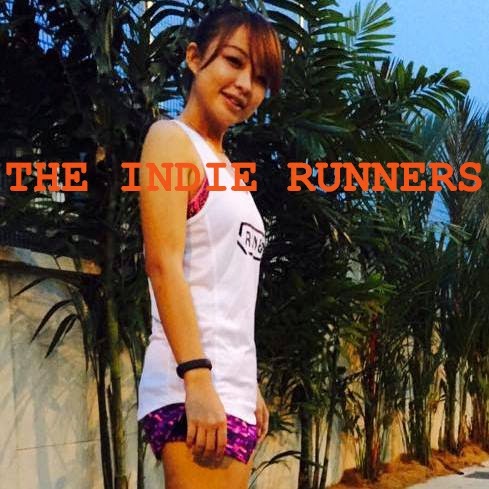 I'm an indie runner because I try to live everyday of my life to the fullest. Because I believe in when there's a will, there's a way. Because I believe that I could inspire others to get out and get running.